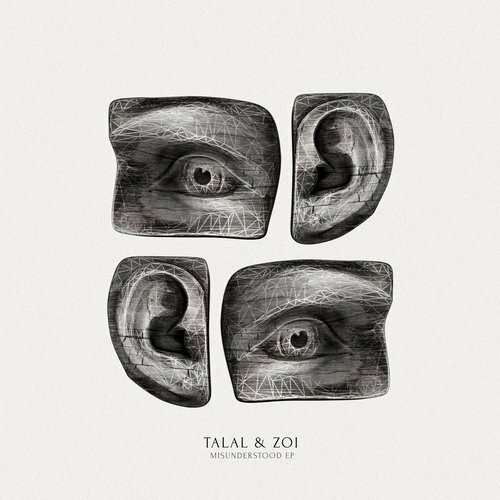 Talal & Zoi, two cousins from Pakistan, deliver the 6th EP to Moodfamily with 2 slow burners that will leave you stargazing. 'Misunderstood' introduces the EP with bluesy vocals sustained by a steady near machine-like groove, as if it were recorded at the chain gang in 1940's Detroit. A high-pitched synth-lead breaks the darkness and brings a more melancholic colour to the arrangement. Their affinity for the deep and melodic continues to show in 'Indigo', where they set out their ethereal synths to an exciting arrangement, guaranteed to lure unsuspecting club-goers into a frenzy. In-house lush experts 'Stavroz' deliver a tight organic take on the fragile Misunderstood. The track slowly evolves through a mournful journey, only to complete with some hopeful gloomy synth work.